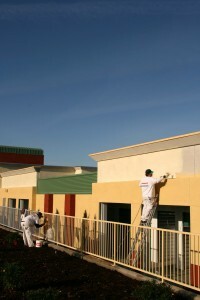 5 Star Painting works hard to ensure we do everything possible to deliver our customers superior quality painting. That includes seeking out experienced, skilled painters who deliver quality, every time. We are the only call you need to make for both affordability and superior quality painters in Salmon Creek. How can you trust us? How about a one-year guarantee on all our finished projects? (Though it almost always lasts much longer than that!) If you are at all unhappy with the finished product, just let us know and we will make it right. In order to maintain constantly superior quality in all we do, the owner is along on every project. We do this because we still believe in delivering the highest standard painting in the area. As a locally-owned, family business, we see our customers as our friends and neighbors in the community. That means providing the same level of craftsmanship for each customer as we would for our own home or business. Our painters use low VOC, eco-friendly paint by the top brand name. All our painting is done with Sherwin-Williams paint, primer, and caulk, which comes with one of the longest lasting warranties out there. We provide a complete double layer of paint to improve its strength and longevity. Additionally, all our pricing is offered up-front in our free, no-pressure estimate—no surprises, and no hidden fees! These are just some of the ways we go above and beyond to offer our customers the best. 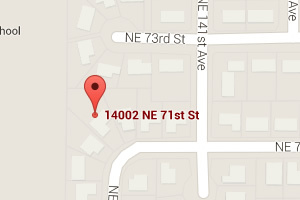 Call to talk to our friendly painters in Salmon Creek today and schedule your free estimate.